The post David Bowie’s lifelong friend dismisses the idea of a biopic movie appeared first on NME. One of David Bowie‘s lifelong friends has dismissed the idea of a movie based on the icon’s life. Last month, it was announced biopic Stardust was in the works – with Johnny Flynn set to play the late singer during first trip to America in 1971. Bowie’s son, the director Duncan Jones, then spoke out to say that the movie was happening “without his music or the family’s blessing“. 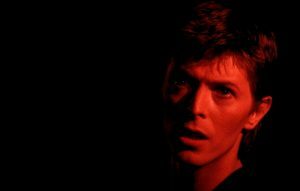 George Underwood – a friend of Bowie since the age of nine, former collaborator and the man responsible for giving Bowie his permanently dilated pupil – spoke to NME along with others who knew him well about the icon’s early life. This weekend saw the TV debut of David Bowie: Finding Fame – the final in a trilogy of documentaries [after 2013’s Five Years and The Last Five Years in 2017] by director Francis Whately, telling the story of Bowie’s origins before he found mainstream success. “I have no doubt that biopics will be made, and that they’ll emphasise the wrong aspects of his career,” Whately told NME. “What I’m glad to have been able to do is make three 90 minute films on David Bowie as a musician, the artist, not anything else. That’s what’s important. That’s why he loved the first film [Five Years] and was so encouraging from that point onwards. “Pretty certain nobody has been granted music rights for ANY biopic… I would know,” wrote Duncan Jones on Twitter. Joining Flynn in the movie Stardust will be GLOW’s Marc Maron, who will play the rock star’s publicist, and The Hunger Games’ Jena Malone, who will play Bowie’s first wife, Angie. The film will be directed by Emmy winner Gabriel Range (Death Of A President), with Christopher Bell on scriptwriting duties. There is no release date, but principal photography is set to begin in June. After the recent release of Bowie’s legendary headline set at Glastonbury 2000, a new box set collecting his early recordings will arrive later this year, as ‘Spying Through The Keyhole’ marks 50 years of ‘Space Oddity’.